A medium sharp/sweet condiment made from the finest balsamic vinegar of Modena, infused with natural Pomegranate flavour. 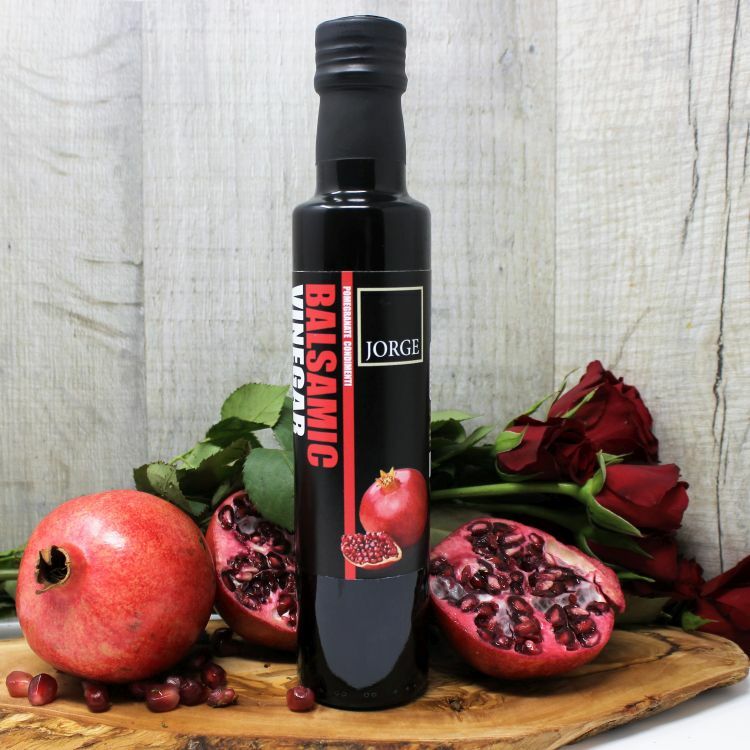 This beautiful Pomegranate balsamic makes the perfect gift for aspiring cooks and is ideal for summer BBQs, mezze/tapas style dining or entertaining to impress. Fantastic straight over a salad, as part of a dressing, or for use in sauces, marinades or desserts. Delicious over roasted beetroot, through hummus, with roasted duck or on a Pavlova with berries and Greek yoghurt.